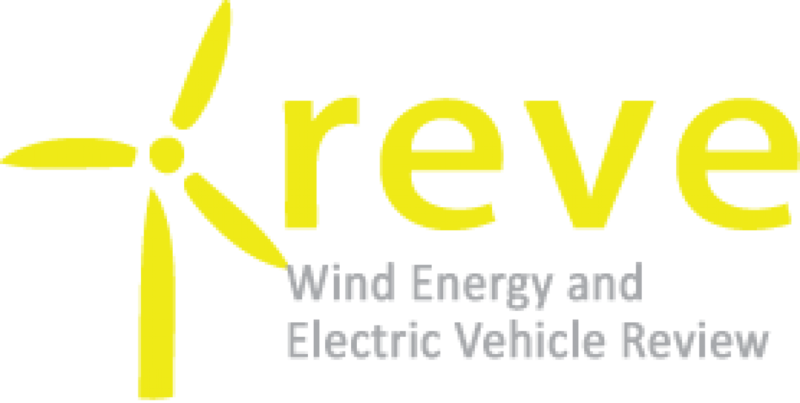 The wind power project involves a total of nine wind farms with an investment of approximately 300 million euros, making this region where the power company will build the largest number of projects stemming from the government’s most recent wind power auction. The wind farms will be located in 16 municipalities in the provinces of Burgos, Valladolid and Zamora, and will create some 1,000 jobs during the various construction phases. The wind turbines projects to be built by the power company in Castile and Leon were presented earlier today by the Director-General of Energy and Mines from the Regional Government of Castile-Leon, Ricardo González Mantero, together with the General Manager of Naturgy, Ana Peris, and the company’s Renewables Development Manager in Castile-Leon, David Muñoz. 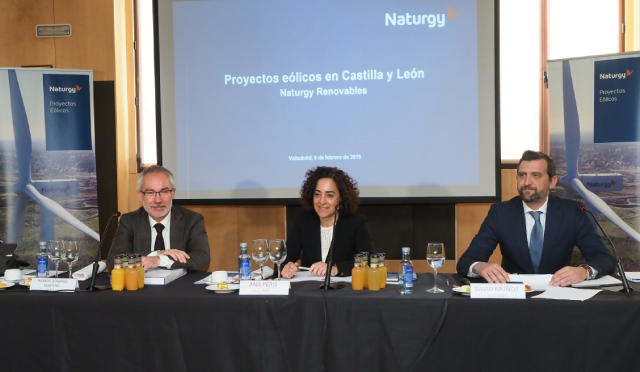 “With this commitment of around 300 million euros in Castile and Leon, Naturgy continues to work on the development of renewable energy generation in Spain with a global project of some 1 billion euros throughout the country by 2020”, said Ana Peris, Naturgy’s Generation Manager. In turn, Ricardo González Mantero said that, “in the short term, the installed wind capacity in Castile and Leon will increase as more than 860 MW are brought online, which will bring almost 790 million euros of investment into the region and create 2,500 jobs during the construction and commissioning phase”. The Director-General of Energy and Mines of the Regional Government of Castile and Leon explained that “this wind capacity will lead to 2.3 million euros in land lease revenues and more than 20 million euros in revenues for the local authorities by way of ICIO, as well as more than 3.5 million euros per year by way of taxes and fees”. Finally, he said that, “through environmental agreements and taxes, the regional government will generate revenues of approximately three million euros per year on average in the first 20 years”. He went on to stress that, “in the long term, given the high number of guarantees presented and given the technical capability for access to the national grid, it is estimated that a further 2,100 MW could be added”. The projects by the renewables subsidiary of Naturgy in Castile and Leon, which represent an investment of approximately 300 million euros, involve the construction of nine wind farms located in 16 municipalities in the provinces of Burgos, Valladolid and Zamora: Barruelo del Valle, Berceruelo, Castrodeza, Castromonte, Olmillos de Castro, La Mudarra, Losacio, Medina de Rioseco, Montejo de Bricia, Santa Eufemia del Barco, Torrecilla de la Torre, Torrelobatón, Valdenebro de los Valles, Valverde de los Campos, Velilla and Villasexmir. These wind farms, which will create approximately 1,000 jobs during their various construction phases, will have a total installed capacity of more than 300 MW and will produce around 950 GWh per year, equivalent to the annual electricity consumption of 380,000 homes or 24% of all the homes in Castile and Leon. These infrastructures will allow a reduction in the use of other conventional sources of electricity generation, thereby helping to prevent the emission of approximately 750,000 tonnes of CO2 over the course of their useful life. In terms of wind power generation, Naturgy currently has 295 MW of installed wind capacity in the provinces of Leon, Zamora, Burgos and Palencia. The renewables subsidiary of Naturgy closed 2018 with a consolidated total installed power in operation of 1,179 MW (1,012 MW in wind power, 109 MW in mini-hydropower plants and 58 MW in cogeneration and photovoltaic plants).